We usually have a limited number of professionally cleaned marten skulls for sale at any time. The size averages 3.5" (9 cm) long, 2" (5 cm) wide, and 1.75" (4.5 cm) tall. The genus and species is Martes americana. Wild. 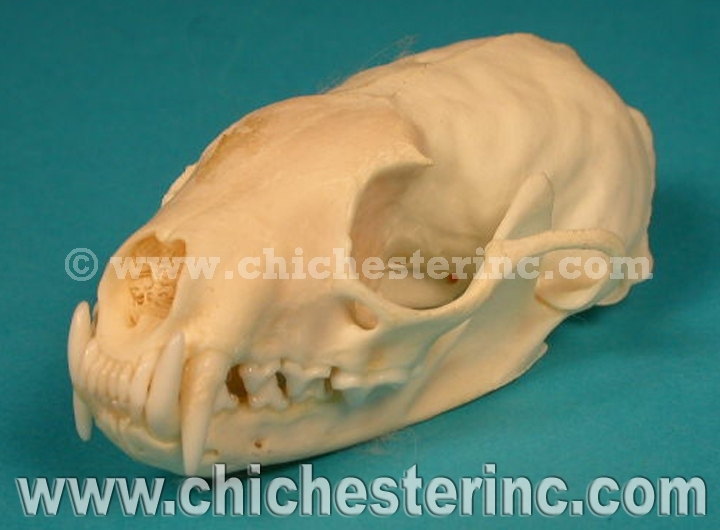 A USFWS export permit is required for shipments of marten skulls outside of the U.S.